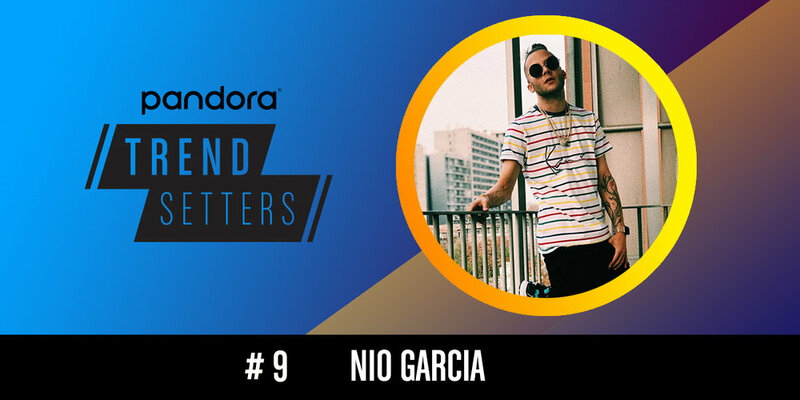 This week we're taking a look at chart-hopping Trendsetters Nio Garcia and Quando Rondo who have appeared on not one but two Next Big Sound charts! Check out their artist stations on Pandora today! Right as the remix to his breakout single, "Te Bote," makes its way to #9 of the Top Spins Chart, Nio Garcia does the same on Trendsetters this week with over 4,000 weekly artist station adds. This month compared to last month, the Puerto Rican rapper has seen a 50% increase in artist station adds and an 85% increase in spins. Quando Rondo doesn't waste any time. After just over a month on Predictions, the Savannah-born rapper is already making his Trendsetters debut to the tune of over 2,750 weekly artist station adds on Pandora. That's the result of a 40% lift compared to last week. Rondo, who's been on fire since the release of his Life B4 Famemixtape, has also seen a significant increase in activity on social media. Month on month, he's increased his fans on Facebook by 275 percent.